I went to a birthday party last weekend for my nieces. This is a video I made to share which I’m going to send everyone on DVD…it’s too big to upload to Facebook, and I’d like them to see it before I cement the discs. 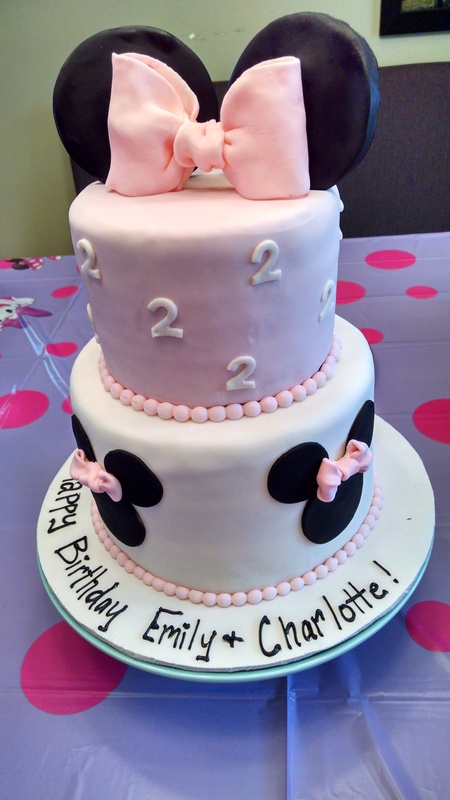 PS…how cool is this cake? Check out Sweet Rewards in Brookfield! Posted on March 5, 2017, in Deep Thoughts & Fun Stuff and tagged Little kids' Minnie-themed birthday parties, Sweet Rewards in Brookfield, Wedding cake makers in Connecticut. Bookmark the permalink. 4 Comments. Kristi, put it up on YouTube and then put the YouTube into Facebook. Then you don’t have to upload. Super awesome video. And yes wicked cake. I would not want to cut that one. Thanks for the advice!! And thank you!! Yes, I was sad we had to cut it. I will say this also: fondant normally tastes like cardboard. This stuff was delicious!